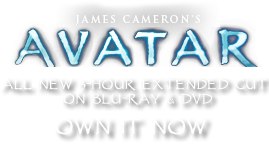 Anemonid | Pandorapedia: The Official Guide to Pandora | Own AVATAR on Blu-ray & DVD Now! The anemonid is one of several carnivorous plants on Pandora that obtains most of its nutrition from other organisms rather than from making its own through photosynthesis. The large, flattened meristem at the top of the plant is covered with a sticky aromatic substance that attracts insects, which are quickly trapped once they land. Digestive enzymes on the plant’s surface then break down the insect bodies to obtain nitrogen and other essential elements. The anemonid is rather unique in another feature—its roots absorb metals from the soil rather than typical mineral elements needed for plant growth. This gives the plant the ability to move in response to a magnetic field, which was named magnetonasty by the first scientists who studied this behavior. The anemonids will turn and lean towards anyone walking by carrying a metal object. Research is underway on Earth to determine whether anemonids could be used in bioremediation to detoxify soil contaminated with heavy metals, or possibly as tool for mining. Results so far have been inconclusive. If export is allowed, it is likely to be a favorite in horticulture trade because of its tracking abilities. Botanical Description Large forest herb with flattened top that resembles the sea anemone and hair-like leaves. Flat, plate-like surface is covered with digestive enzymes for trapping insects.